If you need to establish an estate plan, administer an estate, or are involved in a real estate transaction, you need a competent Boulder Attorney at your side. A good estate planning attorney will take the time to understand your goals, family dynamics, and financial profile. At Weinberger Law, we provide a wide-range of services relating to residential real estate transactions. Weinberger Law can help you navigate Probate and estate administration. We strive to make the process efficient and inexpensive. At Weinberger Law, LLC we focus on estate planning, probate, and real estate law – areas touching the core of people’s lives. 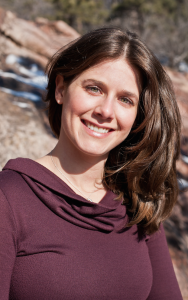 Boulder Attorney Gina Weinberger values open, candid communication and is committed to swiftly resolving legal matters. She provides relationship-driven legal counsel in a professional and direct manner. If you need to establish an estate plan, administer an estate, or are involved in a real estate transaction, you need a competent attorney at your side. At Weinberger Law, LLC you can expect quality service at transparent, reasonable rates. Learn more about Attorney Gina Weinberger. Everyone, regardless of net worth, needs an estate plan. If you haven’t designated financial and healthcare decisions makers, outlined your end-of-life preferences and established a Will or Trust directing who should benefit from your estate, you may be placing your loved ones in a tremendously difficult position. Our Boulder attorney will answer your questions and help you better understand the estate planning process. Visit our Estate Planning page to get more information on estate planning and the five essential documents needed to plan appropriately. Whether you’re working with an agent or going through a For Sale By Owner (SFBO), we can help you navigate your real estate purchase. Our Boulder Attorney will analyze the real estate transaction with your best interest in mind so you can head to the closing table with confidence. Visit our Real Estate Transactions page to get more information. If you’ve recently lost a loved one, you may need to initiate Probate proceedings to settle the estate. Probate is the legal process required to transfer assets out of a decedent’s name. At Weinberger Law, LLC we help clients navigate these daunting proceedings so they can focus on their loved ones. Visit our Probate page to get more information on how our Boulder Attorney can help you.